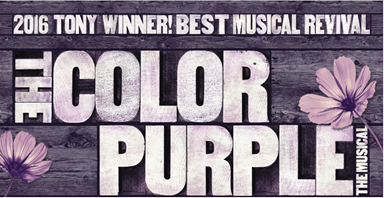 The Color Purple music is playing at The Fabulous Fox Theatre March 27th – April 1st. Exclusive interview with Carrie Compere who plays Sofia. The musical The Color Purple is playing at The Fabulous Fox Theatre in St. Louis this month! I had the opportunity to interview the very talented Carrie Compere who plays Sofia in the musical. What a fitting interview considering just a few short weeks ago, I interviewed Oprah Winfrey who also played Sofia in the Blockbuster film! I was very interested in hearing about that connection and more! Check out the highlights of the interview. I’ve been performing, professionally, for about 8 years now and it’s been an absolutely crazy, stressful, divine and glorious journey. The most extreme rollercoaster I’ve ever been on!!! I wouldn’t change a thing. As far as Sofia, I understudied the role on Broadway in the Revival and took over the role when Danielle Brooks left the production. After we closed on Broadway, I was offered Sofia in the touring production and was honored to say YES! Were you a fan of the book and movie? Absolutely. I read the book on my own in high school and of course, I’ve seen the movie a billion times. I have fallen in love with this story over and over again. I admire Ms. Alice Walker, the author, for her audacity in writing about the lives of these people and especially these beautiful and flawed women. She wrote the story of so many women. She wrote my story. Many remember Oprah Winfrey as Sofia in the film, did you use her as inspiration when preparing for your role? 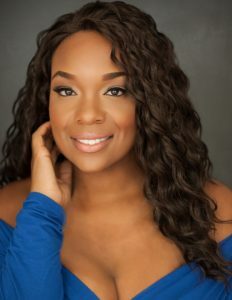 Ms. Winfrey’s (or Auntie O as we liked to call her on Broadway) portrayal of Sofia in the movie is just something you don’t forget once you’ve seen it. Yet, I purposely stayed away from watching the movie for that reason. I wanted my interpretation of Sofia to be as authentic a mix of this character on the page and myself as possible. I wanted to make sure I was breathing life into Sofia from a genuine space and not making her an imitation. But there are definite sprinkles of Auntie O… that just can’t be helped. LOL! Have you met any of the cast from the movie? If so, have they seen the musical (that you know of) and their response? Yes. Ms. Winfrey who played Sofia. Whoopi Goldberg who played Celie. Akosua Busia who played Nettie. Margaret Avery who played Shug Avery. And Steven Spielberg who directed the film version. I have had the pleasure of meeting them all and hearing from each of them, in their own way, how much they love the Revival. Also, Ms. Alice Walker, the author herself, sat in one of our rehearsals as we prepared for the Broadway Revival run and shared with pride that she felt she was watching her book on stage. That, my dear, is the greatest compliment we could possible receive!!! What characteristics (if any) do you share with Sofia? Differences? Sofia is definitely in my DNA. She is a strong woman. Smart. A fighter. She stands for what she believes in. She is loving. Caring. She wants to love and to be loved. She’s a wife. A mother. She’s vulnerable and sometime very uncomfortable in that vulnerability. I am most of these things. Really, all of these things to be honest. I think Sofia has learned that it is ok to be vulnerable, to be soft…it doesn’t take away from your strength as a woman. I am still learning that lesson. I am still learning that it’s ok to need and ask for help. It’s ok to NOT have all the answers. What is the most difficult part in touring? Being away from my family and friends. I am continually trying to master the art of compartmentalizing and staying focused on my work while on tour. But it’s definitely hard to be away from home. You are a mother, is your family able to travel with you on tour? My husband and I have an eighteen-year-old son and a sixteen-year-old daughter who are turning into these adults and I am not ready for it LOL. They do not travel with me because they have lives at home, but they come out on the road as often as we can get them out. They’ve been to see me in several cities so far. Sleep LOL! I workout when I’m trying to be good. Actually, most of our cast is really health conscience and we try to eat “right” but most of these cities have some really good eating!!! I try to see the sites in whatever city we are in. I also try to do outreach in the cities that we are in. That’s something that is really important to our cast. We have visited places like drug/alcohol rehab facilities, women’s shelters, high schools, colleges. What advice would you giving aspiring performers? Know in the deepest part of your soul that this is what you want to do. And maybe you have to try it out a few times to determine that. But once you’ve locked in to it and it’s your passion…never let go. Learn as much as you can about your craft. Glean from other performers, observe and listen. Sharpen your skills. Be and remain humble. It is not an easy journey for most, but so rewarding. What ages are appropriate for this show? I would say that varies. If you are a parent/guardian you should definitely know what your child is capable of understanding and know that you may have to discuss some things with them before and/or after the show. I’d say in general, ages 12 and up. But again, for the parents/guardians, do your research about the show and the themes. Why do you believe this show is a must-see? Because it speaks not just to women, but to men…not just to blacks but to all races, not just to the older generation but to the new. This is a heartfelt, beautiful story about a community of humans having human experiences on their human journeys singing some amazing music along the way.